Infections in any part of the urinary system are very common, more so in women than in men. Painful infections in the bladder can disrupt your life on their own, but when an infection spreads to the kidneys, it can become dangerous. 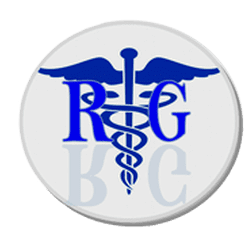 Brooklyn, New York family medicine and osteopathic care provider Dr. Rimma Gelbert diagnoses and treats UTIs quickly and effectively to help you feel like yourself again. Call or click to schedule an appointment at Rimma Gelbert Medical PA today if you have pain or burning during urination or have the urge to go more than usual. A urinary tract infection (UTI) is a bacterial infection in any part of the urinary system. A UTI can involve the bladder, kidneys, ureters, or urethra. They are the second most common infection in the body, and women are more likely than men to get a UTI. When a UTI involves the kidneys, you may also experience fever, chills, nausea, or vomiting. Any of these symptoms are signs you need to see Dr. Gelbert. Am I at risk for a urinary tract infection? UTI risk factors in both men and women include a suppressed immune system, use of a catheter, and urinary tract blockages. Dr. Gelbert diagnoses a UTI with a simple urine test. In some cases, she orders a urine culture to learn more about the bacteria causing your infection or imaging tests to detect any structural issues causing recurrent infections. Antibiotics are the first and most effective line of treatment for UTIs. However, when it comes to UTIs, prevention goes a long way. Make a habit of drinking plenty of water every day. Women should consider changing their birth control and avoiding irritating feminine sprays and powders. Pregnant women can deliver premature or low birth weight babies. Urinary tract infections are highly-treatable, so don’t live with symptoms another week. Call or click to schedule your appointment with Dr. Gelbert today.